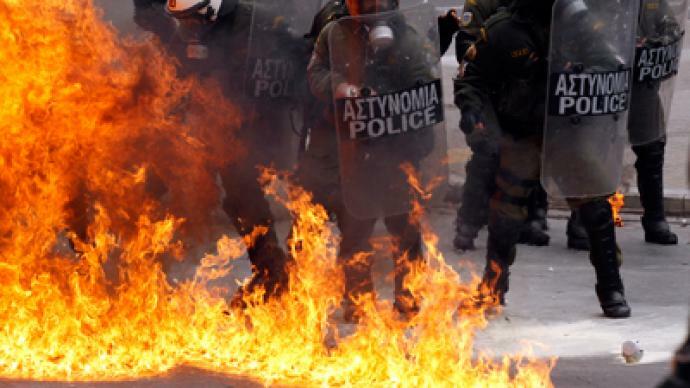 Greek riot police have used tear gas to disperse the crowd of raging rioters throwing petrol bombs and stones. Greece is at a standstill once again, with people venting their anger at more cuts, which the EU is demanding in return for vital funds. 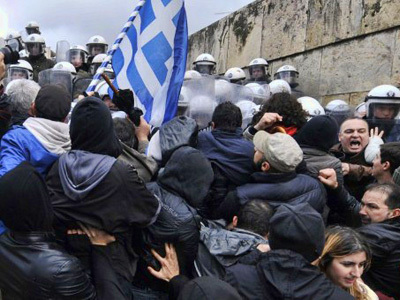 ­Violence erupted during as a peaceful 7,000-strong crowd was heading to the Greek parliament, the Associated Press reported. Several groups of youth started throwing stones and Molotov cocktails and the police had to use tear gas to defuse the tension. A total of some 17,000 people gathered for two separate strikes in Athens, as Greece’s two biggest unions launched a 48-hour strike on Friday. Most public services in Greece were affected, including public transport and hospitals. The fresh protests come a day after the Greek parliament discussed a deal on a new set of cuts and an agreement with private creditors on the parameters of a debt write-down. 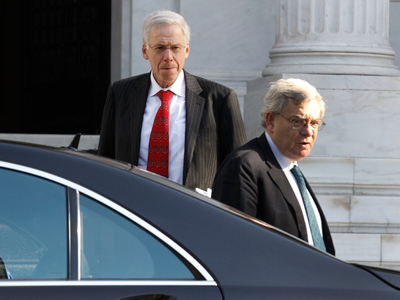 The Greek cabinet has lost six ministers in two days, as politicians continue to resign, refusing to accept the tough burden of new austerity measures imposed on Greece. The deputy foreign minister, Mariliza Xenogiannakopoulou from the socialist PASOK party, was the latest to resign on Friday. The LAOS party's transport minister and the deputy ministers of the merchant marine and agriculture resigned earlier the same day. The deputy labour minister, Yannis Koutsoukos, a member of the Socialist Party resigned a day before on Thursday, saying that he was quitting because the measures were "painful for working people." 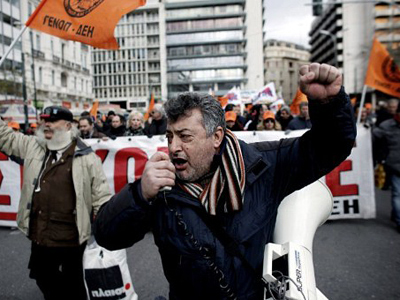 Greece's far-right LAOS party leader, George Karatzaferis, said he would not vote in favor of a new bailout agreement. However, with only 16 deputies in the parliament, LAOS party will not be able to block the bailout agreement in case the Socialists and the conservatives vote in its favor. 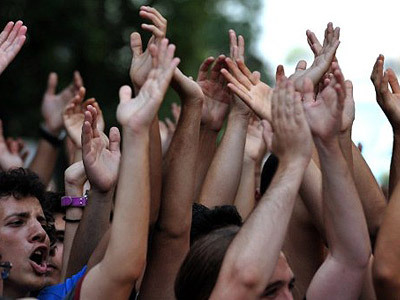 The parliament is due to vote on the agreement on Monday. Greece has a total debt of about 350 billion euro, and is trying to negotiate a 130-billion-euro bailout from the EU and International Monetary Fund, which, if it is agreed, will be the second such cash bailout.